Goal 1: Formalize the development, integration, and use of models to inform enterprise and program decision making. Goal 2: Provide an enduring, authoritative source of truth. Goal 3: Incorporate technological innovation to improve the engineering practice. Goal 4: Establish a supporting infrastructure and environments to perform activities, collaborate, and communicate across stakeholders. Goal 5: Transform the culture and workforce to adopt and support digital engineering across the lifecycle. 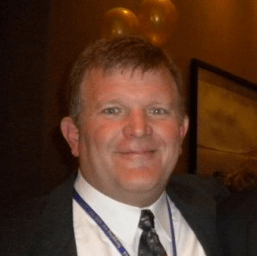 Randy Langmead is a PLM Fellow for Siemens PLM Software’s Aerospace, Defense, Federal and Marine Division. He leads a Business Development team that provides thought leadership to product lifecycle customers in pursuit of “The Digital Enterprise”. He has been involved with major PLM projects at GE Aircraft Engines, JPL, Ingalls Shipbuilding, Applied Materials, General Dynamics Electric Boat, Newport News Shipbuilding, and the Department of the Navy. Randy has been with Siemens PLM Software since 1997. Randy received a BS in Aerospace Engineering from the United States Naval Academy in 1980, and an MS in Aeronautical Avionics from the Naval Postgraduate School in 1988. A former Naval Aviator, Randy served as a carrier-based Anti-Submarine Warfare Helicopter pilot and held a wide variety of Organizational Level Aircraft Maintenance positions. He retired from NAVAIR as Assistant Program Manager for Test And Evaluation at PEO(A). The 3D Collaboration & Interoperability Congress (3D CIC) focuses on 3D CAD collaboration and interoperability for the entire product lifecycle. The 2018 theme of Enterprise Accountability will bring together real users to share experiences and learn about the topics of Culture & Champions, Quality, and Manufacturing. 3D CIC 2018 will be held October 15-18, 2018 at the American Mountaineering Center in Golden, Colorado. Find out more and register at 3dcic.com.